RJS Inspector D4000 and Inspector 4000 Auto Optic calibration plaque is NOT sold separately. It is provided at no charge with Calibration or Repair services. Please visit our Services pages for more details. The Calibration Plaque ONLY applies to D4000 units with an Auto Optic scan head. The D4000 Laser with the CR1 or CR2 laser gun does NOT have a calibration procedure since it does not measure the ISO/ANSI reflectance parameters. 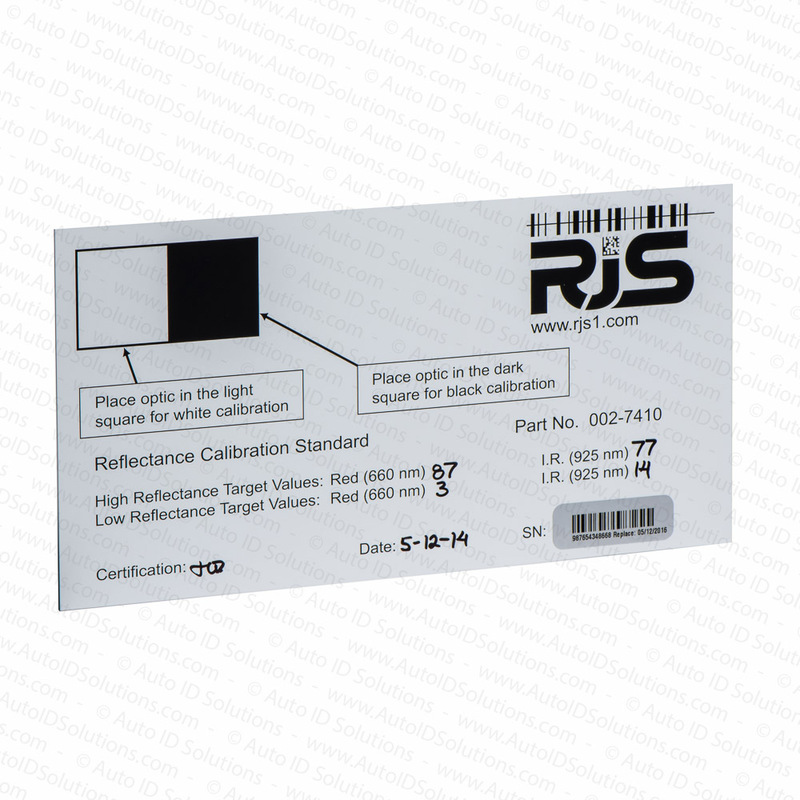 RJS recommends the D4000 and Inspector 4000 Auto Optic units be calibrated once per week and returned for Re-certification/Calibration every 12 months. Auto ID Solutions is factory authorized by RJS to perform this service on RJS bar code verifiers. All service work is completed within 24 hours of arrival to Auto ID Solutions office in Minneapolis, MN USA.